NEP Australia (NEP), Australia’s leading provider of outsourced broadcast production solutions, has entered into an agreement with Lawo, a leading innovator and manufacturer of IP-based audio and video routing, processing and control systems, in which Lawo will be a key technology partner in NEP’s new IP-enabled production ‘Hubs’ in Sydney and Melbourne. NEP’s Hubs enable multiple concurrent outside broadcasts (OBs) and will be the world’s largest networked broadcast centers. Based on an internet protocol (IP) core, the Hubs allow for remote, distributed production – meaning cameras and microphones will be located at the venue, with the majority of the production team based at the Hubs. Designed for large multi-camera sports broadcasts, they will accommodate Australia’s most-followed football codes – Rugby League (NRL) and Australian Rules (AFL) – as well as A-League football (soccer) and other popular sports from 29 venues across the country. An extensive rollout of Lawo’s new V_matrix platform will see all-IP routing, processing and multi-viewer functionality based around the software-defined virtual modules of the V_matrix ecosystem. In addition, Lawo’s Virtual Studio Manager (VSM) and ‘The WALL’ multi-viewer control will provide over-arching orchestration and control as well as a common user interface for all operators. Along with the new software-defined V_matrix platform, NEP has also committed to the new mc296 audio console for six control rooms and four mc256 audio consoles for the new IP–based outside broadcast trucks. The NEP-Lawo deal also encompasses audio and IP processing equipment for four new outside broadcast (OB) trucks and the upgrade of seven trucks in NEP’s existing OB fleet. NEP Australia’s Director of Technology, Marc Segar, said: “We were looking for a flexible and virtualised environment based on IP that would be agile enough for all our sporting codes, scalable for any size project, and integrate well with audio and communications – arguably the most complicated part of what we are trying to achieve. We found that Lawo’s vision was best aligned with ours and with the V_matrix software-defined platform and its Virtual Module-based functionality we are able to meet any size production with the flexibility to change easily between different project requirements. Lawo’s CEO, Philipp Lawo, remarked: “This is not only a milestone for Lawo and NEP, this is a major milestone for the entire broadcast industry. 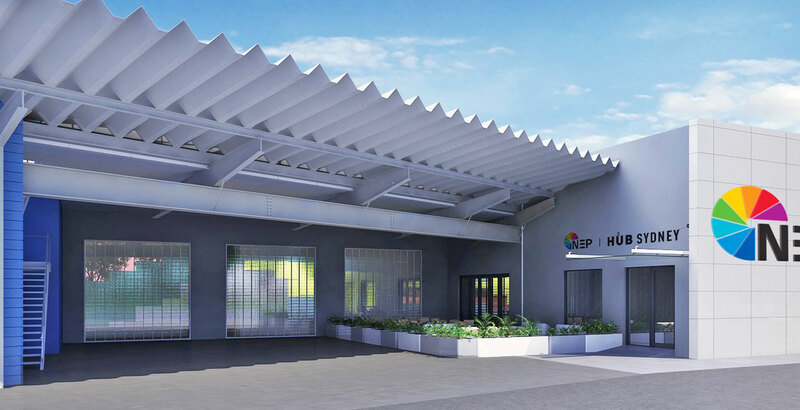 We are looking forward to delivering on NEP’s vision on this pioneering project and in close co-operation with our local partner, Professional Audio and Television (PAT). NEP’s Sydney and Melbourne production Hubs are under construction and will be operational for the start of the AFL and NRL seasons in March 2018.